Car gadgets make driving safer and smoother. They can add value to your vehicle and give you a better driving experience by helping escape heavy traffic and providing you with the quickest and most efficient ways to get to your destination, among others. But most importantly, car gadgets can be your lifesaver when you’re lost in an unfamiliar place, caught in a traffic accident, or victimized by an auto insurance scammer. That said, here are some cool and practical gadgets that every car should have. Nowadays, a dashboard camera, or dash cam, is not just a cool gadget to have on your vehicle, but it’s a necessity to add a measure of security for your safety and your car’s. Auto insurance scams happen often. While a dash cam may not always stop you from being victimized by a scammer, you can protect yourself using the video recorded by the dash cam as evidence. A dash cam records what happens on the road. If get into an accident with another vehicle, you can check the dash-cam recording to determine who is at fault. Always file a police report if you get into an accident, no matter how minor, and take note of the details of the other car. Contact your auto insurance company to settle the matter, and avoid dealing with unverified agents whom you’ve never met before. Educate yourself about the different types of auto insurance scams to avoid becoming a victim of one. Some drivers are not born with an impeccable sense of direction. They gain it as they accumulate driving experience and familiarity with different roads. For new drivers (the directionally challenged ones, at least), a GPS navigation system is a valuable tool for finding their way on the road. But a GPS navigation system can do more than just providing a map to your destination. It can help you check the traffic situation of different roads and find the quickest way for you to get to your destination. 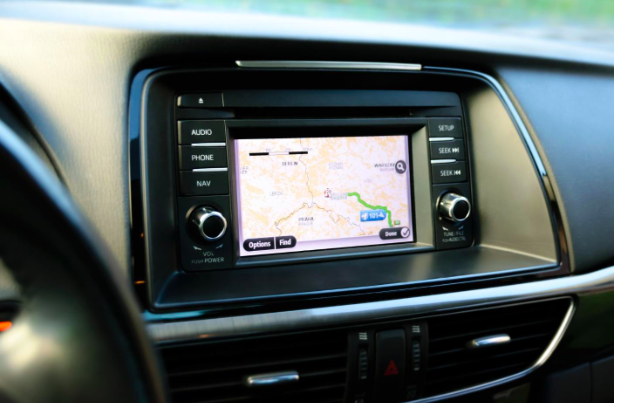 More advanced GPS systems have features such as checking stop signs, traffic accidents, roadwork, and terrain to provide you with the most efficient route to where you’re going. Driving with a flat tire puts you at risk of getting into a traffic accident. That said, checking the pressure of your tires should be part of your regular car-maintenance routine. In fact, you should be checking whether your car tires are adequately inflated before you drive. There are two ways you can check your car’s tire pressure. One, you can do it manually by using a gauge. Or two, you can take the faster route by using a wireless tire-pressure monitoring system. The system uses a device that should be plugged into your car’s cigarette lighter. The device will give you real-time updates of your car’s tire pressure and temperature, so you always know when you need to stop and get the tires reinflated. Are you tired of losing your car in the parking lot? Do you often forget to change your vehicle’s engine oil and encounter engine problems? If your answer is a resounding yes to both questions, it’s time to get yourself a smart car adapter. A smart car adapter helps you locate your car in huge parking filled with similar-looking vehicles. It reminds you to check your engine oil and refill or change it when needed. By connecting the smart car adapter to your smartphone and downloading an app, you can get regular updates of your car’s condition and keep track of your mileage. If you drive an SUV or truck, then you know how much dirt those huge tires can accumulate on your vehicle’s wheel well. Fender flares can cover that part of your car to hide any mess, mud stains, or rust. But fender flares are not just for decoration. In some states, big vehicles are required to have them. Because of their bigger wheels, SUVs, and trucks often kick up debris and rocks on the road, which can hit the windshield of the vehicle behind them. Getting custom fender flares for your car is not a problem these days since there’s a wide selection of fender flares in the market especially made for large cars, like the Toyota Tundra, Dodge Ram, and Ford Ranger. Like the dash cam, a rearview camera is useful for getting a video of the incident in case you encounter trouble on the road, as well as recording the scenery behind your car when you drive. But more than those functions, a rearview camera allows you to monitor what’s going on behind your car, which helps you estimate a safe distance between your car and other vehicles following you on the road. For new drivers (and not-so-good ones), this can help them finally conquer parallel parking. While gadgets, like car cameras, may not directly prevent you from being victimized by auto insurance scams or stop you from getting into an accident, these gadgets will give you evidence to protect yourself from being wrongfully accused. But there are also car gadgets that can save your life, like the tire-pressure monitor and the smart car adapter. Both give you updates on the condition of your car, so you can spot if there’s anything wrong with your vehicle before you set off. Car gadgets are more than just cool stuff to have in your car. They’re also incredibly helpful in making sure that drivers have a safer and smoother driving experience.